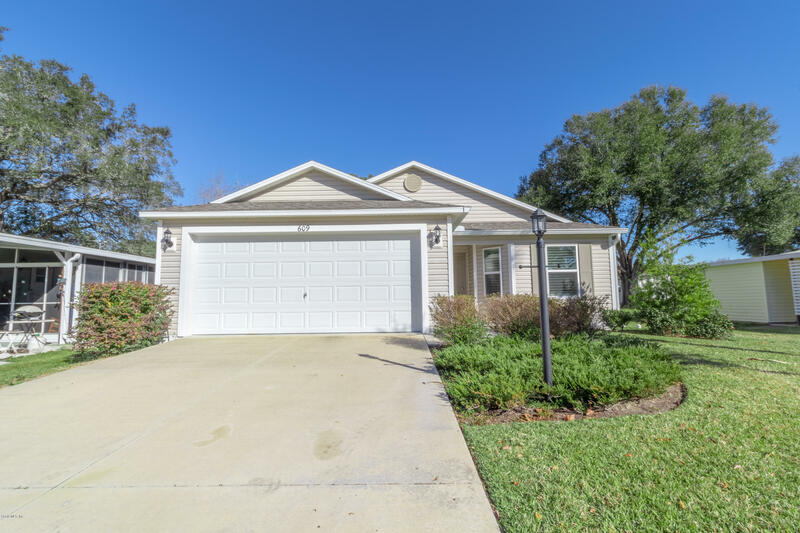 609 Jason Drive Drive, Lady Lake, FL.| MLS# 549925 | Spruce Creek Realty...Retirement Communities in Florida, Resale Homes In Spruce Creek South, The Villages, Stonecrest, Del Webb. This is the one you have been waiting for. This Turn-Key 2016 'At Ease' cottage model features 3 BR 2 Bath, indoor laundry, large open kitchen/living area for entertaining. Master has plantation shutters and bathroom features double sinks and surround shower. Garage has laundry sink, storage cabinets, work bench and 2nd refrigerator. Live just over the bridge from Spanish Springs, no Bond or Annual Maintenance Fee.